Upon graduating from the University of South Carolina with a civil engineering degree in 1916, Luther Hill joined Southern Bell. He was commissioned as a pilot in the U.S. Army and served as a flight instructor during WWI. 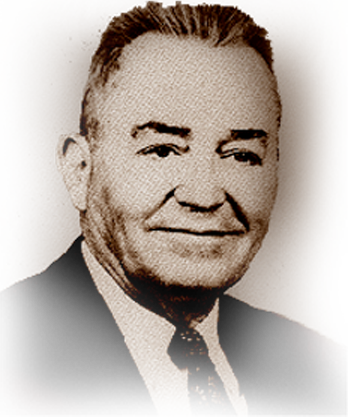 Employed by Southern Bell until WWII, he became operating vice president, Carolina Telephone & Telegraph Company, 1943 and operating vice president and director, Home Telephone & Telegraph Company of Virginia, 1944. He was elected president of both companies in 1945 and chairman of both boards in 1957. He served as president and board member of USITA, and past president, secretary, and treasurer of the North Carolina Independent Telephone Association. He received citations from the U.S. Signal Corps (1944); War department, Secretary of War (1946); and U.S. Department of Commerce (1952). He served as director of communications, Division of National Production Authority in 1951 without compensation. Hill was extremely active in church and civic organizations. He died in 1957.